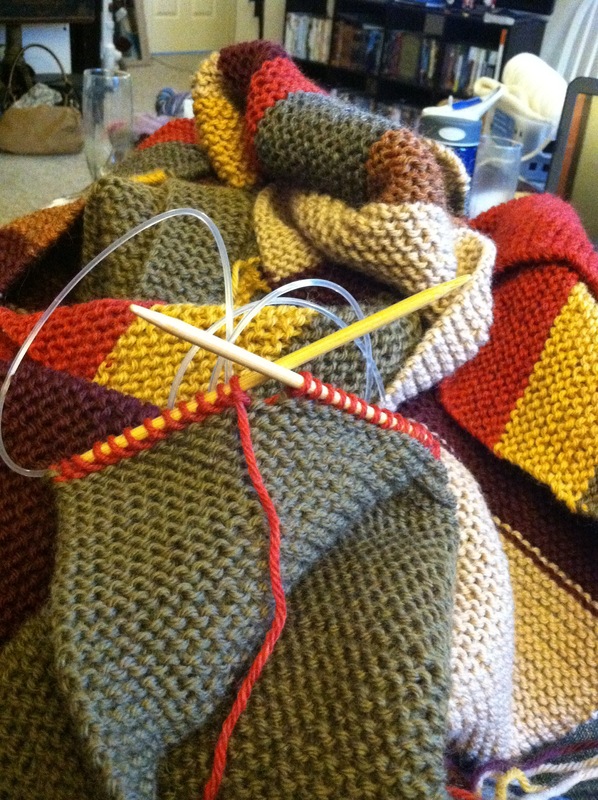 Today in honor of the 4th Doctor’s birthday I am finishing the fourth Doctor Who scarf in the past two months. I love the Doctor and have had a blast knitting the 12 foot scarves, they are just knit back and forth with a gazillion color changes. Though I really do not like sewing in all the ends. I am planning on taking a break from them for a week or two although now that I’ve said that there will be more orders. I love sharing what I am passionate about with all that I can, I will continue to make the insanely large scarves forever I think. As I knit along I frequently think of the lady who knit the first one and whether or not she knew what she was getting herself into. Here’s the story from the wonderful site doctorwhoscarf.com. I was talking to my mom the other day and keeping her updated on my projects and she informed me that the Tom Baker doctor was my first one. I use to watch it as a kid with my dad on PBS, who knew! I had no memory of it but was happy to know that I have been a life long fan. So today Happy Birthday to the Doctor and thanks to all the actors that have mad him so wonderful. I LOVE IT! I don’t know if you can see but I’m wearing my first Baker scarf I made in my avatar ;). Definitely takes a true fan to make one of those and yours looks AWESOME! I can see yours! It looks great. I need to make one for myself after a break, I just added the tassels on the one in the post and I almost have the color pattern memorized. I love how long they are!! !